Produced by Al Marji’ Publications, sponsored by CAB and in partnership with the Royal Health Society (RHAS) and the Anti-Narcotics Department, No to Drugs, Yes To Life empowers parents of children between the ages of 12-14 years with basic information about drug addiction and prevention in Jordan. “Cairo Amman Bank supports the local community in all fields, and this guide represents our belief in the importance of empowering parents and caregivers to contribute to the development and prosperity of our nation,” said Kamal Al Bakri, Cairo Amman Bank (CAB) Chief Executive Officer at the launch. 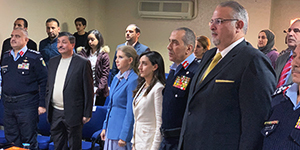 Al Bakri stressed the importance of aligning national initiatives, such as the PSD’s recent campaign “My Hand in Your Hand”, in fighting drug use amongst youth and protecting the leaders of tomorrow from falling into the grips of addiction. 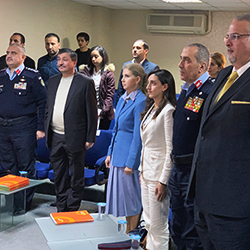 In the presence of Anti-Narcotics Department Director Brigadere General Anwar Tarawneh, RHAS Director General Hanin Odeh stressed the importance of raising the awareness of parents to combat and prevent the drug abuse challenge. Odeh noted that “the launch of this guide is a continuation of the collaboration between RHAS, the Anti-Narcotics Department and Al Marji’ Publications, and falls within RHAS initiative Generations Protected that reaches out to schools, youth and parents.” She added that this booklet is to empower parents, educators and youth with information regarding adolescent drug addiction, its causes and symptoms, common drugs used in Jordan, how to identify substance abuse and what can be done. 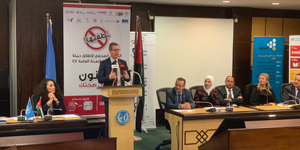 The guide, No to Drugs, Yes To Life, signifies the joint efforts of the public and private sectors in combatting the drug addiction challenge amongst teens in Jordan – a core message of the nationwide campaign, My Hand in Your Hand, launched last week.